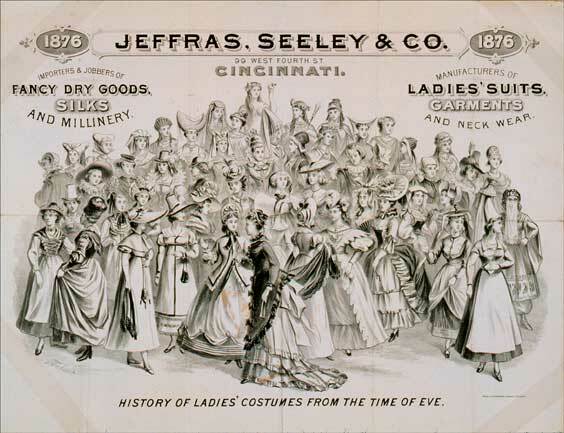 Jeffras Seeley & Co. / 99 West Fourth St. / Cincinnati. / History of Ladies' Costumes from the Time of Eve. F. Achert. Lithograph. 1876. 18.25 x 23.75 in (46.4 x 60.3 cm). Cincinnati: Krebs Lithographing Company. Rare Books and Special Collections Department.